I have a little obsession going on with marble lately, specially in objects around the home. I love how luxurious yet natural it is. 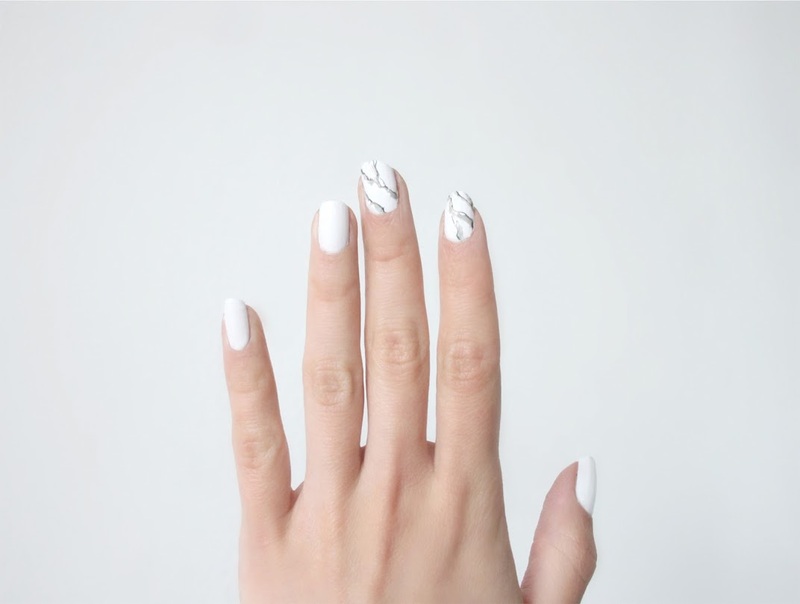 Last week I tried out a marble pattern out on my nails. It took a bit of experimenting, but I got it down after a few tries. Having it only on a couple of nails keeps it subtle and not too decadent. 02/ With the thin brush apply the first veins with a bit of a zig zag motion, it doesn't matter if it turns out sloppy. See second picture. Keep an image of actual marble close to use as a reference to guide you when shaping the veins. 03/ When the light grey 'draft' of the marble has dried, trace these lines with the dark grey polish, like shown in the third picture. Just let your brush go along the light grey lines. These thinner dark grey lines will add a lot of depth to your marble. 04/ When the darker veins are almost dry, apply a layer of shiny topcoat to make it all blend together. love this mani, so cool! Wat een mooi idee weer! You always surprise me with something new :) It actually looks identical to the marble! Stunning, and so unique. It reminds of when you see wood beautifully painted to look like marble in old houses- trompe l'oeil- because the original family couldn't afford to have huge marble columns and fireplaces in every room. Het lijkt heel echt, super gedaan! This looks so amazing, must try it out! Dat is je echt heel goed gelukt! oh i love the print! How inspiring! I'm usually too lazy to do anything else other than painting my nails but I've definitely enjoyed your nail experimentation so far. And just when I thought you couldn't, Ivania, you just OUT DID yourself again! I would die for this but I'd have to get your permission lol. This is so completely cool and I'm speechless. You could do the nail art for celine and balenciaga by alex wang. We'd call it something like "Ivania Marbles at Céline" or something lol. Oh my God, it's beautiful! This looks so beautiful Ivania! Such amazing nails.. thanks for sharing! oh my gosh so pretty! i love the serenity that marble inspires. Deze ga ik zeker proberen! Mooi! It's lovely design.I will also love to make this in my nails. Aesthetically made nail designs, love it! Thanks for sharing such an amazing marble info blog. Keep up writing. A very interesting post- Amazing Manicure. 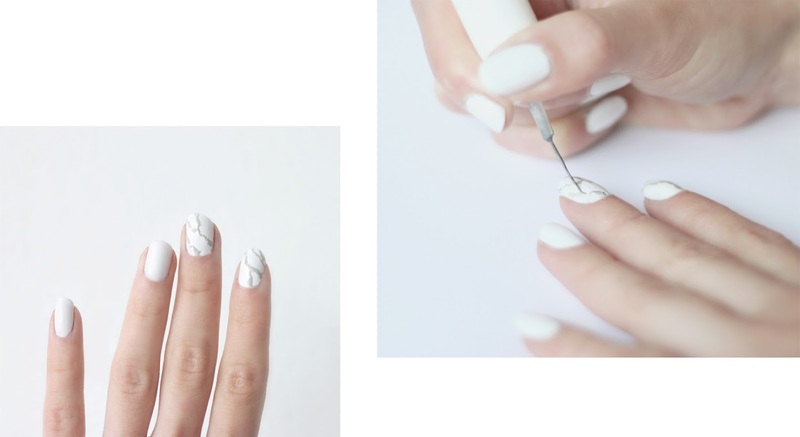 I have never thought that we can make our nails like marble. It is so innovative for me. I have to try this at least once. Thanks for sharing. 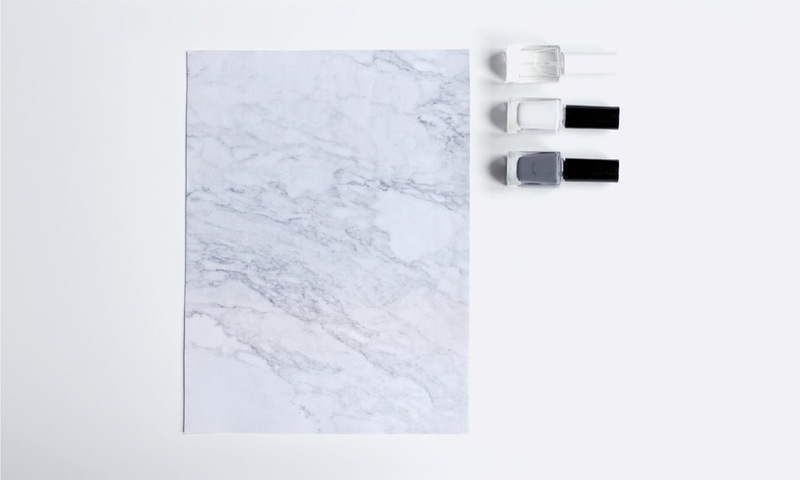 Thanks for sharing such an amazing marble blog. It is just beautiful and unbelievable.